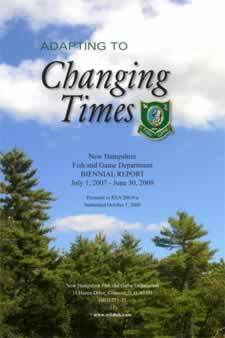 Every other year, the New Hampshire Fish and Game Department provides a Biennial Report to the Governor and the State Legislature highlighting its activities during the past biennium, including an overview of responsibilities and major accomplishments. 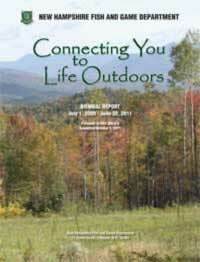 The most recent report covers the work of the New Hampshire Fish and Game Department from July 1 2016 through June 30, 2017. 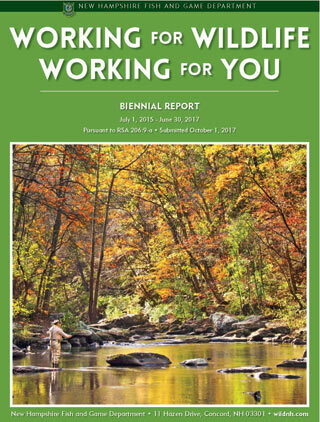 The theme is, "Working for Wildlife, Working for You." To download a copy, right-click and save the document to your computer.